CKR Interactive is a recruitment marketing and communications firm that specializes in employer branding, social media, and other services to help companies attract and retain top talent. Pricing depends on a number of factors, such as a company's current employer brand status and its recruitment marketing goals. CKR Interactive's baseline employer branding programs start at $45,000 - $50,000 and take up to 12 weeks to complete. Pros: Customized solutions are tailored to meet your needs. Cons: Pricing may be too costly for startups. Bottomline: CKR Interactive helps businesses to attract, engage and retain top talent by providing custom solutions. How does CKR Interactive deliver employer branding? CKR Interactive will meet with you to find out more about your company and devise an employer branding strategy based on your budget and needs. 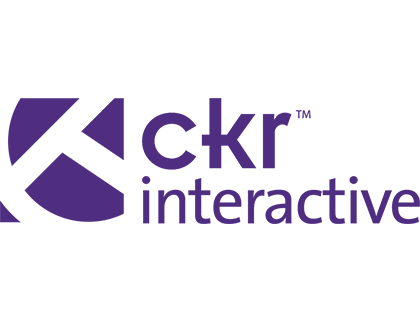 How do I get in touch with CKR Interactive? Contact CKR Interactive on 1 (408) 517-1400 or by filling in the contact form on their website. What are some CKR Interactive alternatives?